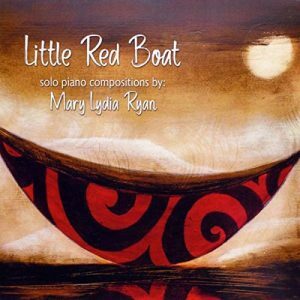 Over the centuries, countless musicians have been inspired by visual art, and vocalist, pianist and composer Mary Lydia Ryan joins their ranks with her 2018 solo piano release Little Red Boat. In 2015, she discovered Little Red Boat, a painting by artist Steve Jensen; she fell in love with the energy, depth of layers of beauty and artistry in the piece, and as she studied it, she felt music within her bubbling to the surface. From the very first first composition, Little Red Boat, the music wove throughout the artist’s life like the threads of a tapestry. Recorded, mixed and mastered by the legendary Joe Bongiorno at Piano Haven Studios in Sedona, Arizona, this is a delightful musical journey, indeed. 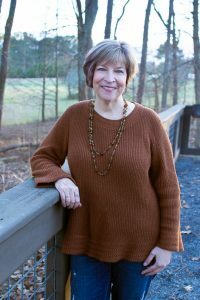 The title track, Little Red Boat, features a winsome melody that sparkles and splashes like sunlight on the surface of the water over a gently rocking left hand accompaniment. The poignant and evocative Woman in the Moon is followed by Floating on a Gentle Breeze—mesmerizing, peaceful and relaxing as drifting on a raft atop the water on a warm summer afternoon. The Joy of Ten Knots is pulsing and exuberant; In Wonder is poignant and passionate. Sailing This Sea Alone is darker in mood, solemn but not quite melancholy and perfectly captures the essence of a person who is alone but not lonely. How Did I End Up Here is a musical expression of the philosophical question we all ask ourselves from time to time; the quietly joyful Gentle Sunshine is one of the shorter pieces on the album but is one of my favorites. Waltz Under the Sun (Kevin’s Song) was composed for a friend going through a period of turmoil; light and delicate, ethereal and romantic, it is healing and restorative. A Song About Sea Turtles pays mesmerizing homage to these mysterious creatures who spend most of their lives underwater and migrate hundreds of miles between nesting and feeding grounds; Sparkle on the Water is a musical painting of the glittering of the sun on the ocean waves. Ocean of My Soul, the longest track on the album is at once mercurial and introspective. Another favorite, it brings the album to a peaceful conclusion. Little Red Boat is a nominee for Whisperings Solo Piano Radio’s “Album of the Year” award and was named as a “Top 3 Best Piano Recordings of 2018” by Dyan Garris of NewAgeCD.com and it is easy to see why. This peaceful and inspiring album is a must for everyone who loves solo piano music. Highly recommended!